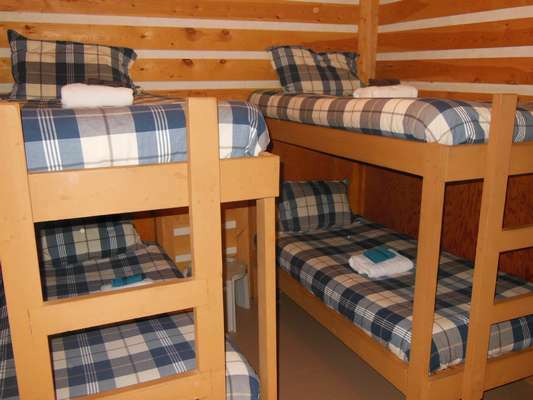 Each of our four lakefront cabins sleep 4-8 people serving a maximum of 24 guests. 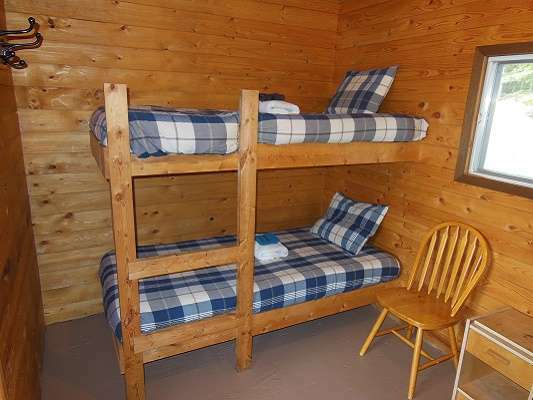 Both our Housekeeping Package and our American Plan Package are tailored for your needs. 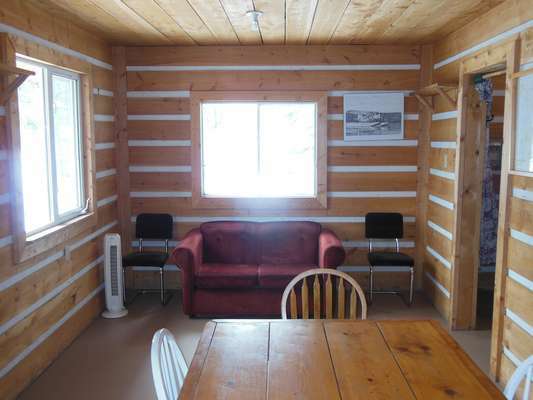 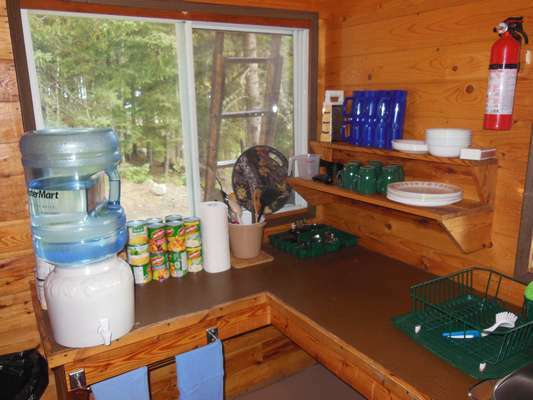 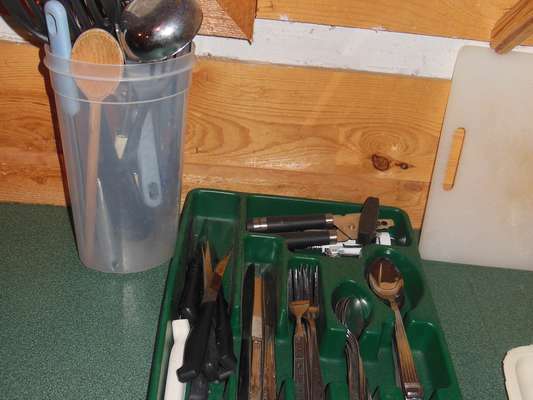 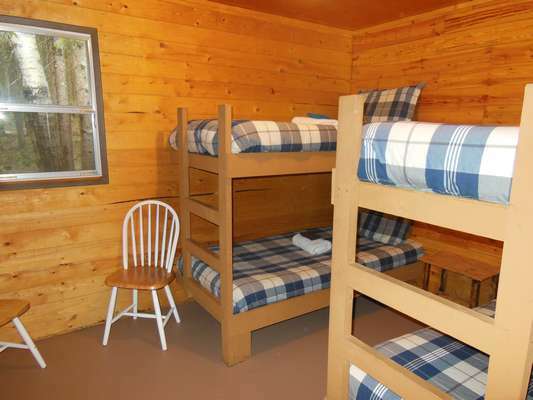 We provide daily maid service to keep your cabin clean and comfortable throughout your stay. 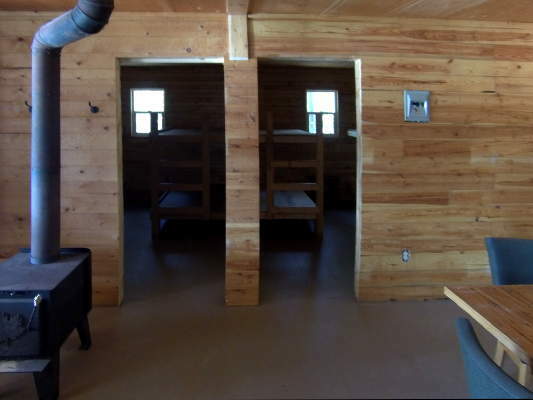 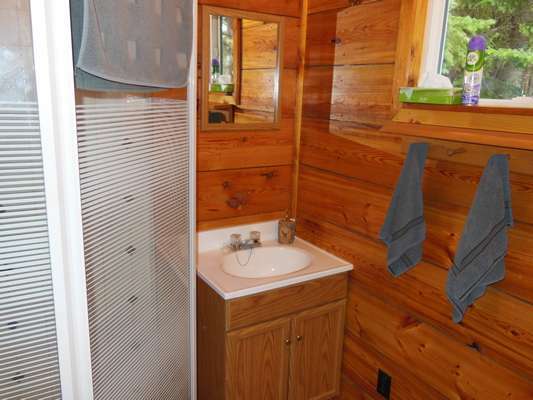 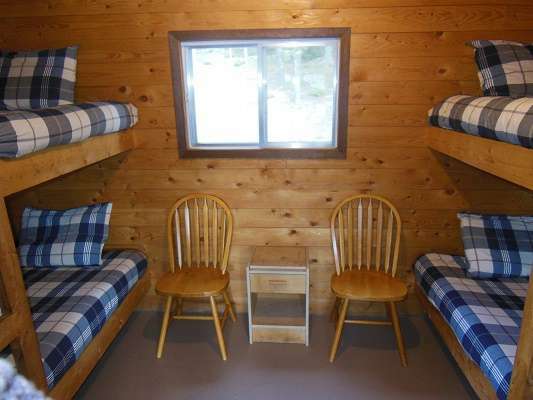 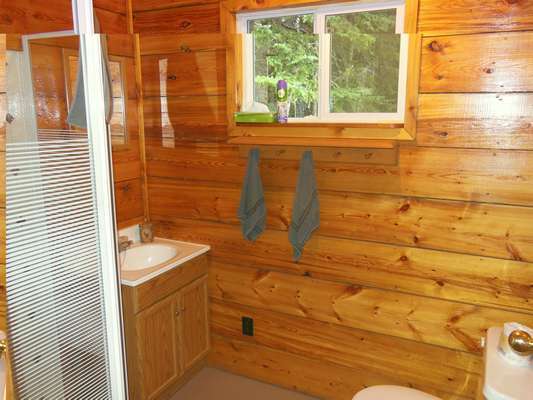 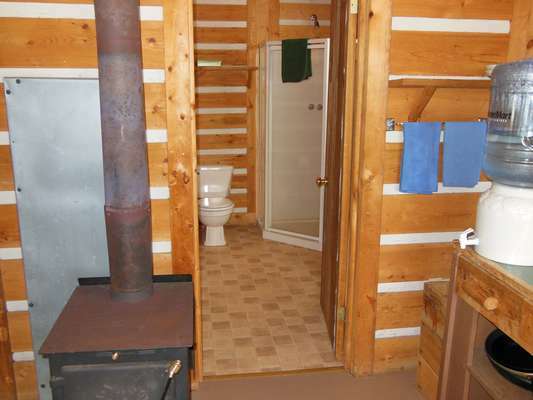 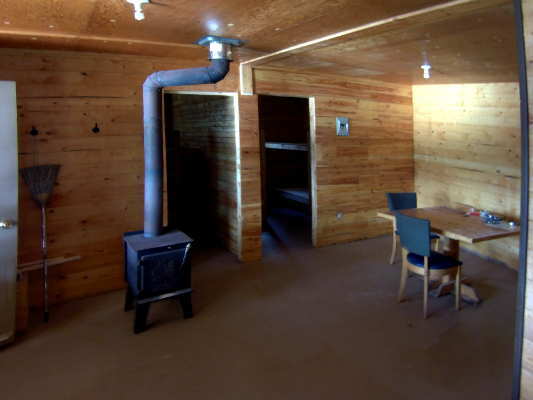 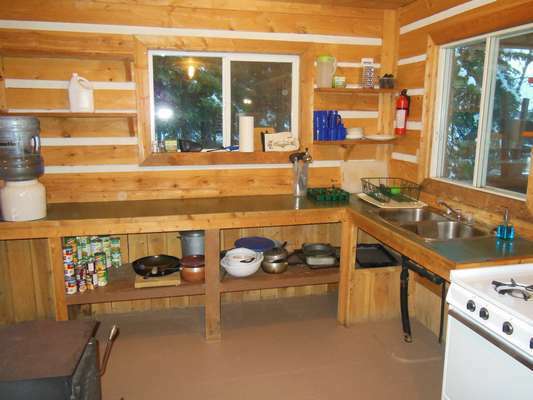 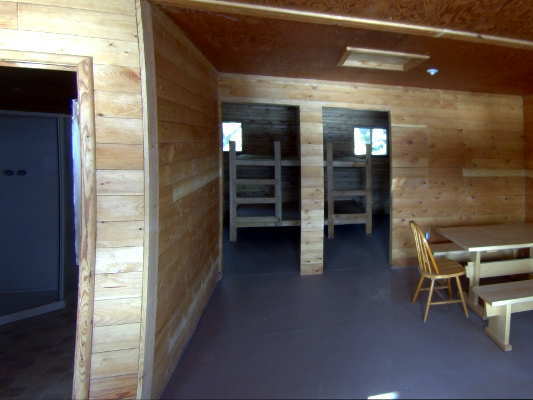 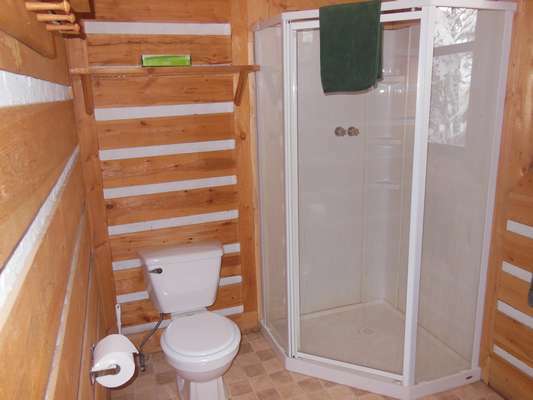 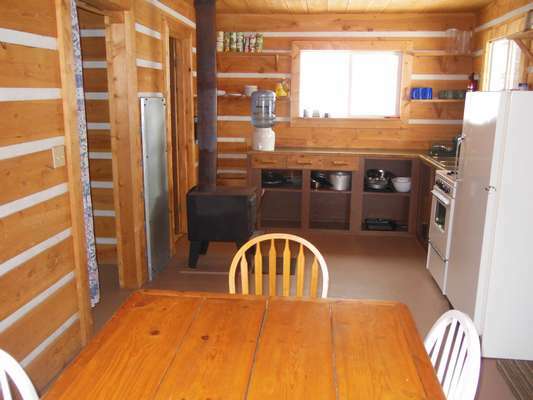 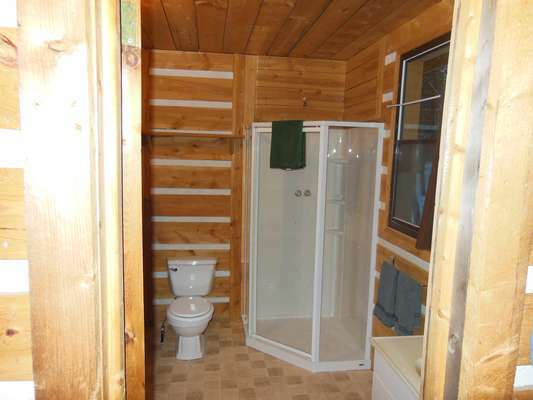 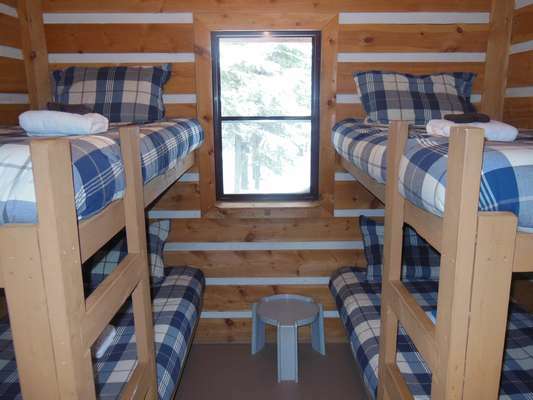 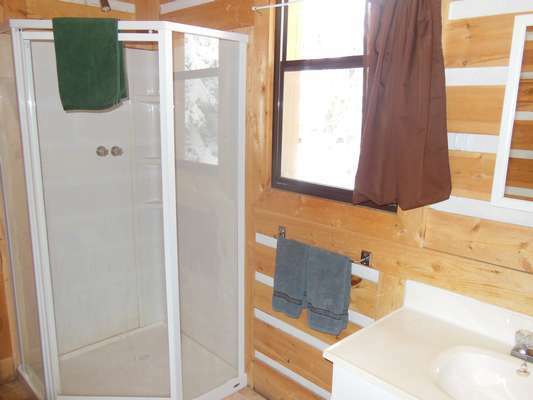 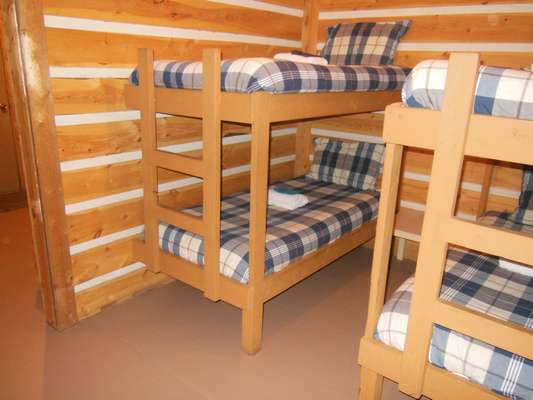 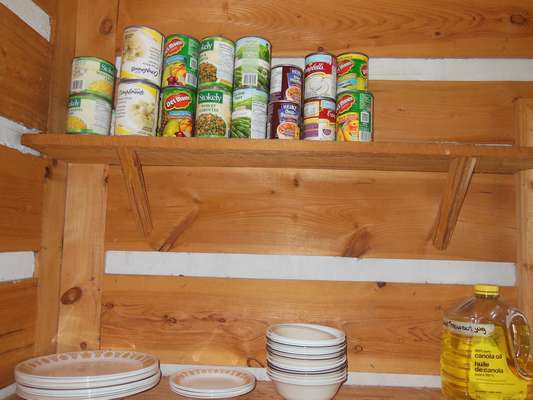 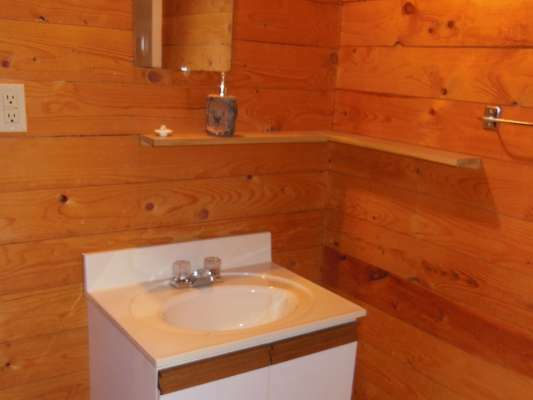 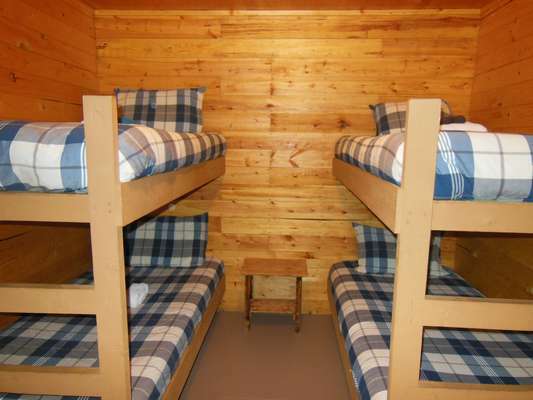 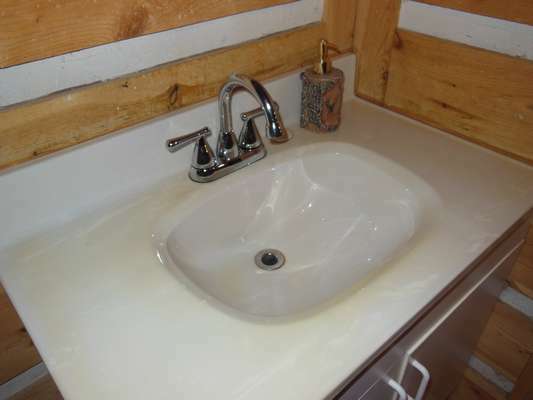 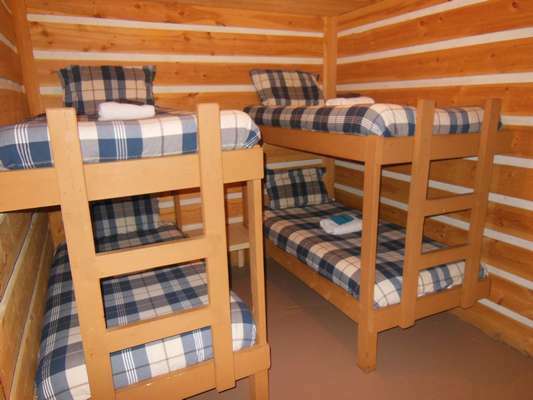 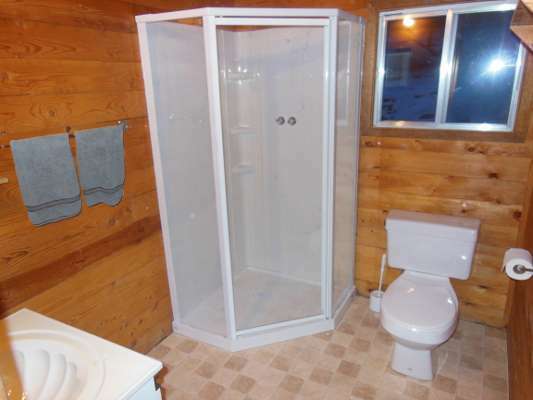 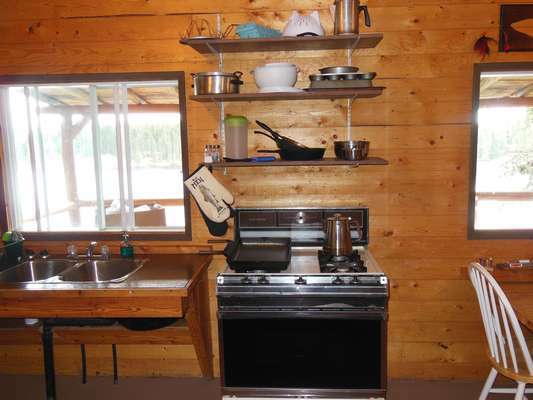 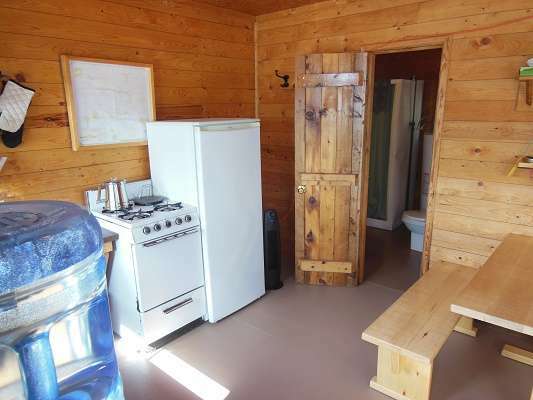 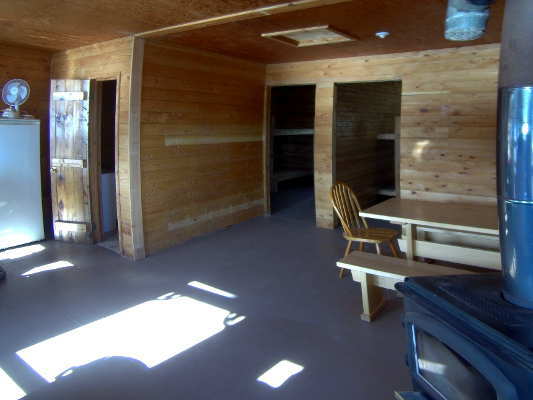 Inside each cabin you'll find 3 piece washrooms with hot and cold running water, showers and flush toilets. 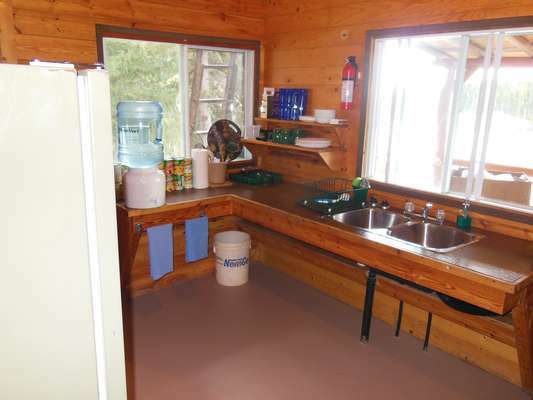 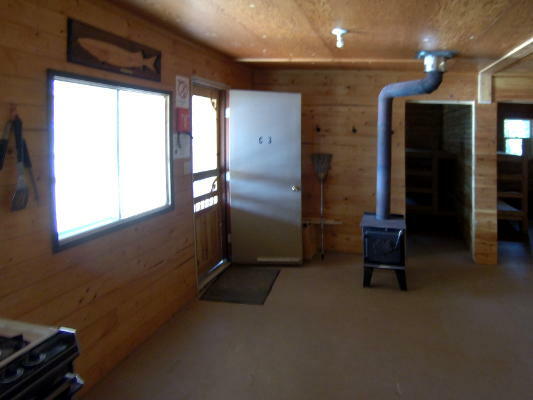 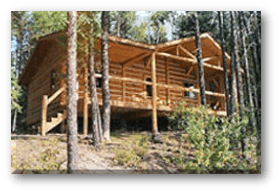 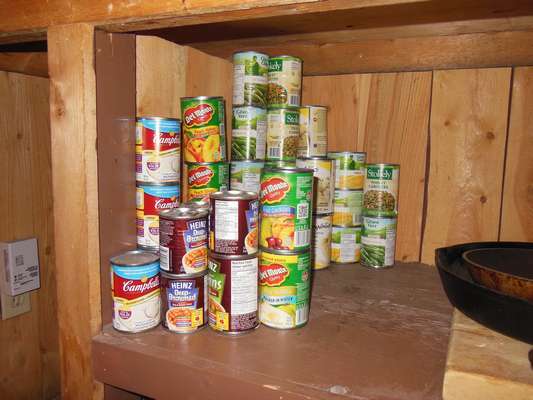 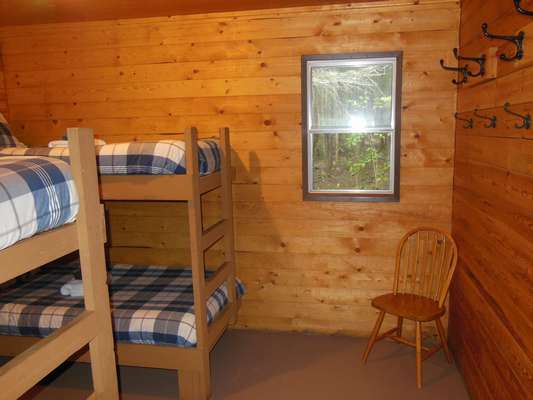 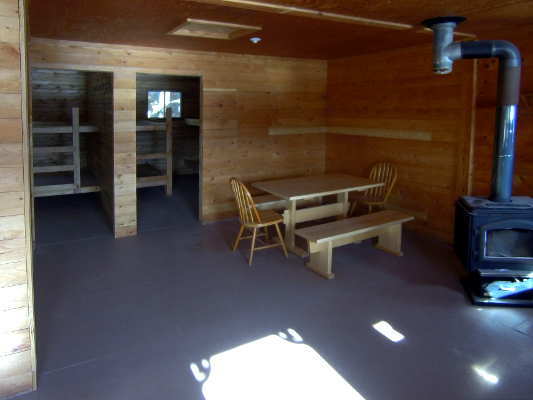 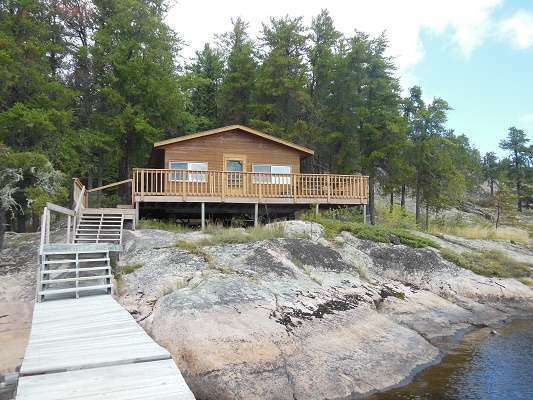 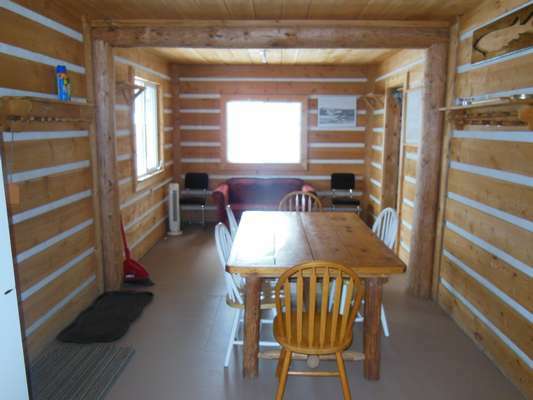 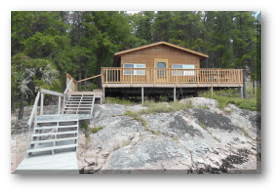 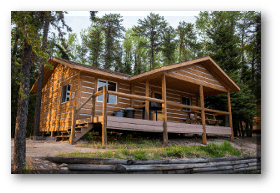 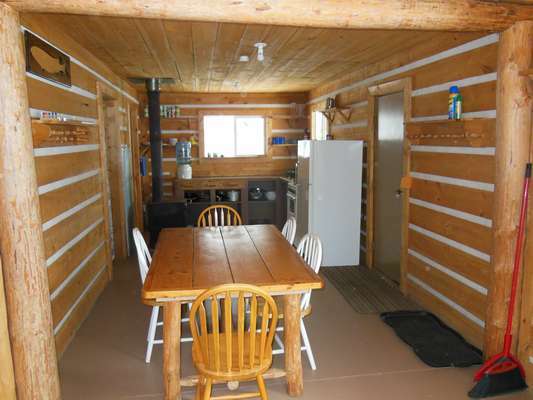 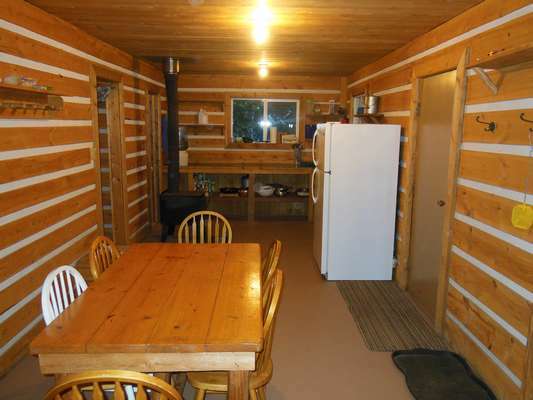 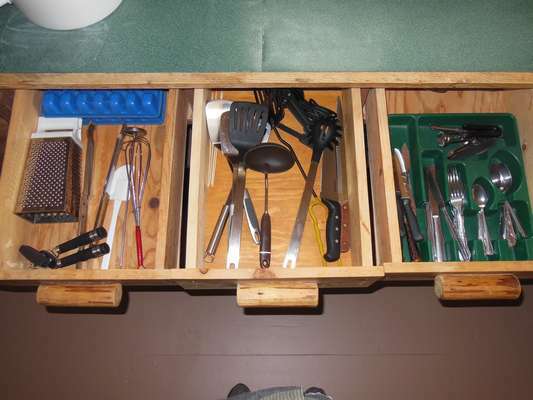 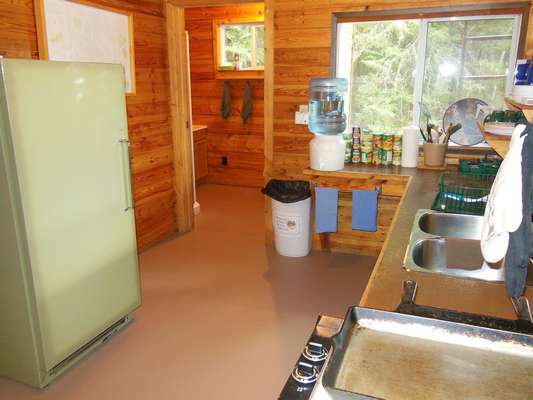 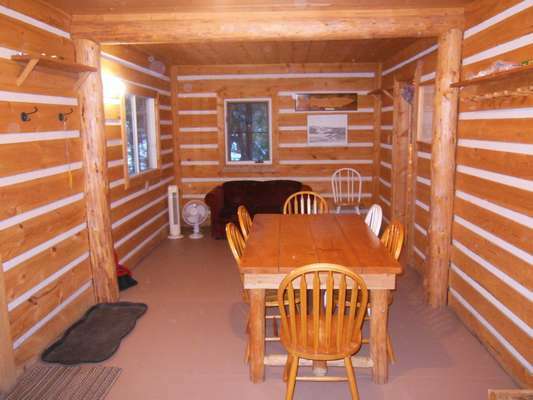 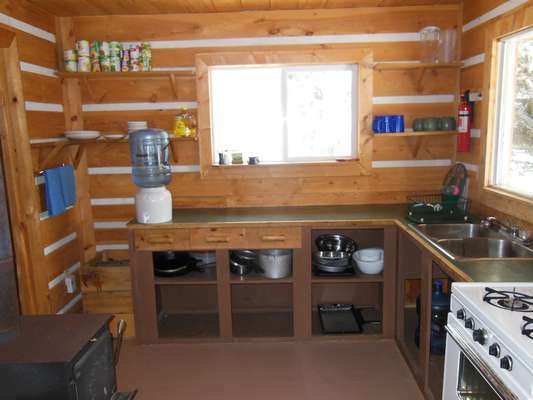 We pride ourselves on our well maintained fishing camp, our very clean cabins, and dependable, excellent service. 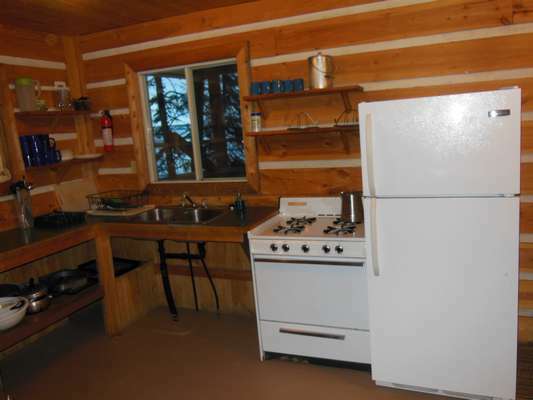 Our trusty diesel generators allow you to feel right at home, supplying power to your cabin 24 hours a day. 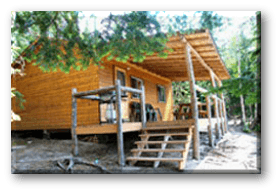 Our lodge has free Wi-Fi and a satellite phone. 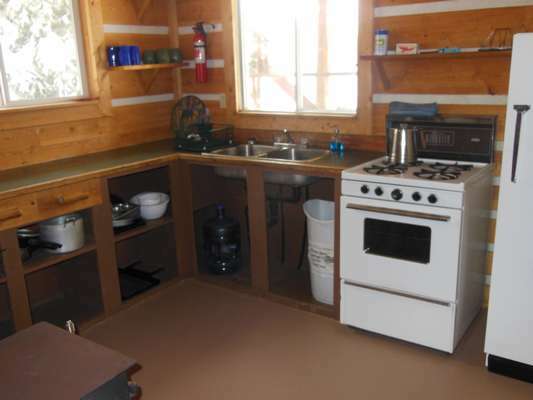 An electric refrigerator and gas range are available in each cabin for those guests who prefer to provide and cook their own meals. 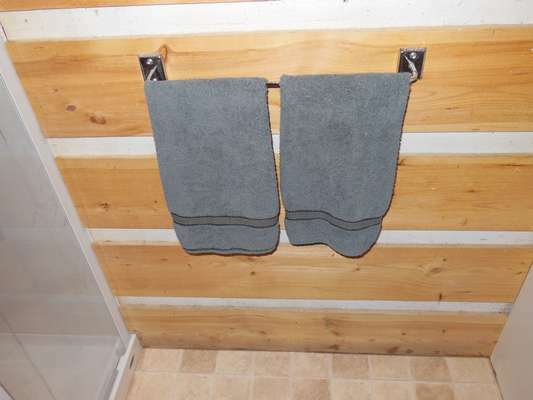 Bed linens are provided along with bath and kitchen towels. 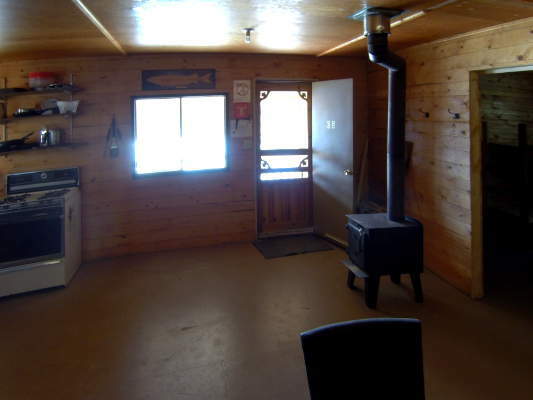 A supply of wood for the wood stove is yours for chilly spring and fall evenings. 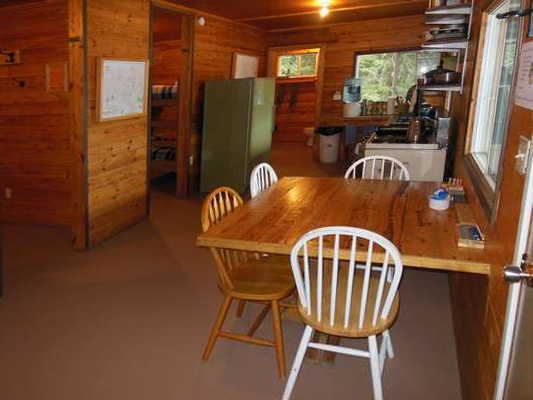 The main lodge dining room is where our American Plan guests gather for breakfast and dinner. 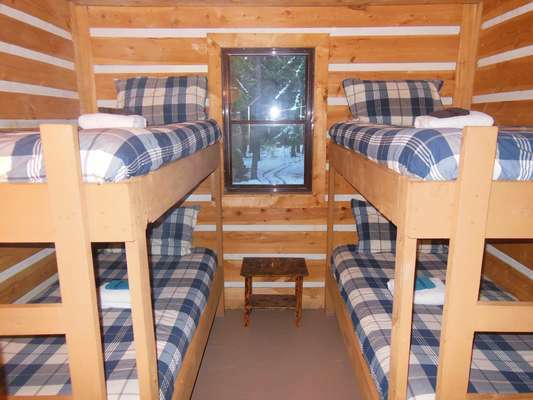 It is also a great place to visit with fellow camp residents or to hold a meeting for your business group. 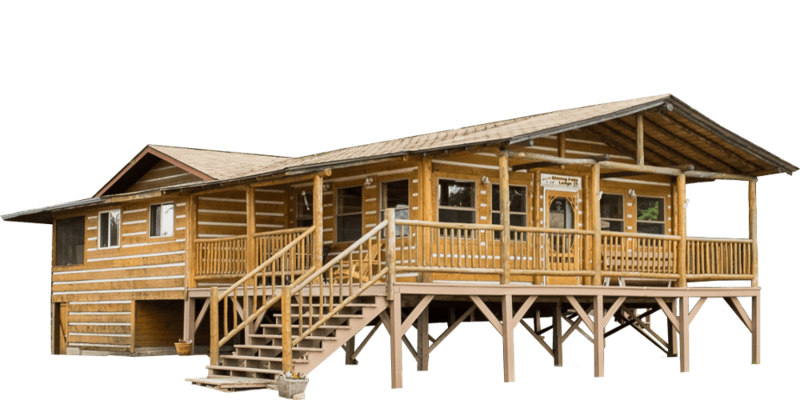 Our lodge store is in the Main Lodge where you'll find a selection of clothing, lures and other essentials you may have left behind. 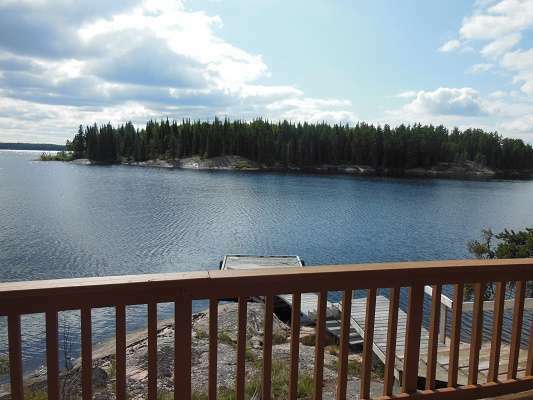 We believe in Relaxing, Easy & Fun Fishing. 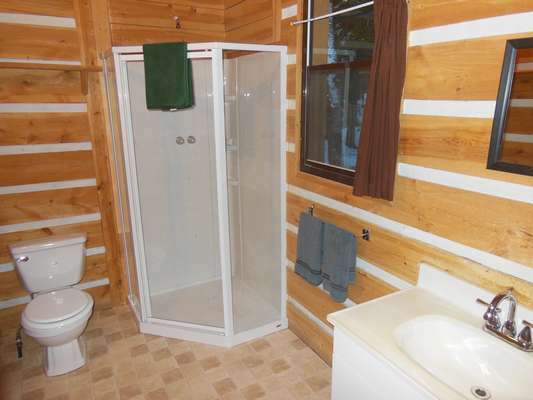 “For the fishing!” is the obvious answer of course. 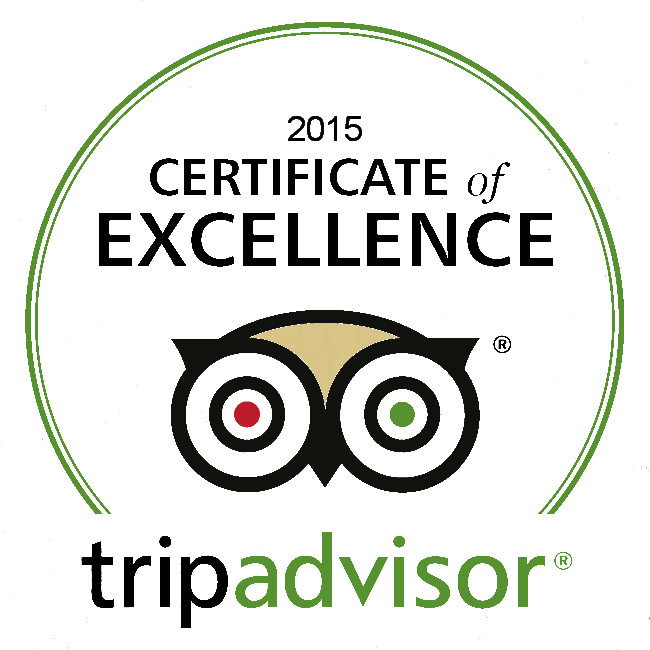 There is more then just fantastic fishing to make your stay with us a memorable one. 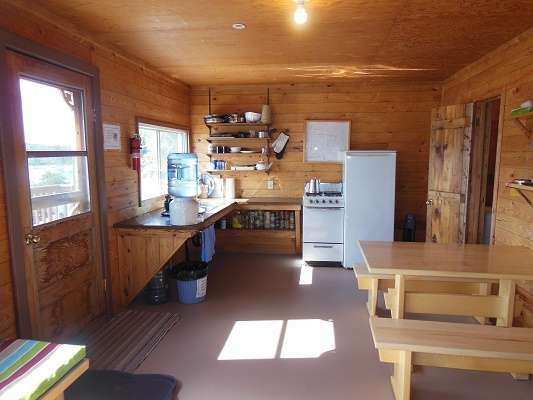 The fantastic service starting with fresh coffee delivered to the cabins every morning will make you feel right at home while staying with us at our beautiful island lodge.